Emergency Dentists USA provides you with a convenient resource for choosing the right Madison emergency dentist for your dental emergency. Our 24-hour dental hotline connects you with a live operator who helps you to choose an emergency dentist and set up that first appointment. Select from a comprehensive listing of after-hours dental clinics with office hours designed to suit your needs regardless of when that dental emergency shows up. Extending as late as 7 p.m. on weekdays, these great Madison emergency dentists are standing by to help you get out of your dental pain quickly. Wonderful website and staff at Emergency Dentists USA. They’re here to help anyone facing a dental emergency, and quickly! Emergency Dentists USA is standing by to share with you the best of Madison’s emergency dental clinics. Our convenient listing of Madison emergency dentists includes the kind and caring dentist that you have been searching for to suit your dental emergency needs. Regular dentists who are available after hours for emergency appointments are a bonus to visitors of Madison. Madison Family Dental Associates is open from 7 a.m. until 7 p.m. from Monday through Thursday. There are no 24-hour clinics in Madison, however, there are wonderful hospitals with emergency rooms that can see you 24 hours a day. Emergency Dentists USA has you covered with a great selection of emergency dentists who are standing by to care for your dental needs. Simply scroll through our convenient listing of Madison dentists below or you can also access our 24-hour dental hotline to speak with a live operator who can help you to choose an excellent emergency dentist. Description: Call to be connected with the perfect dentist for you. 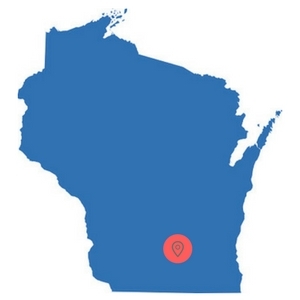 Madison is a large city and we have the connections to find a dentist to fit your needs, and can get you an appointment immediately. You can get emergency dental help in Wisconsin fast. Description: At Mendota Springs Dentistry they set apart time in their schedules each day to accommodate dental emergencies that arise. If you need same day emergency dental treatment, please do not hesitate to call their dental practice. Description: The staff at Madison Family Dental is here for you on Weekdays from 7 AM until 7 PM, and they are a great clinic that can help with various types of dental needs. You can have anything from a constantly aching tooth to the need for an extraction that needs to be tended to, and this is one place that will tend to your needs fantastically. Make an appointment today, and see just how well they can serve your needs. Description: Madison No Fear Dentistry is open for you or your family members until 6 PM on Monday through Wednesday. You may have any type of dental issues ranging from bleeding gums or an injured jaw to an abscess: don’t put off going to the dentist, make sure that you see a specialist like the ones at Madison No Fear today. Description: The staff at First Choice Dental is always standing by for you and can be your point of contact for anything you need ranging from root canal therapy to routine checkups. They are open every weekday from 7 AM until 5 PM, and have been known as one of the best in the community for their level of dedication and service. No matter what type of dental problem you have that is ailing you, the staff here can take care of you quickly. – A visit to a Madison emergency dental clinic is similar to visiting your regular dental clinic. Most emergency dentists offer routine services like x-rays and cleanings along with more extensive emergency services. – Try to arrive at least 15 minutes prior to your dental appointment. This gives you plenty of time to fill out the necessary paperwork and ask any questions regarding your dental procedure. – Gather your recent dental x-rays and examinations to bring with you to visit your new dentist. – Let your new dentist know how you plan to pay for your dental services. Most emergency dentists offer low-interest payment plans and accept most major credit cards. Check to see if they accept your specific dental insurance plan. – Let your emergency dentist know if you have allergies to any medications. Bring a list of your current medications with you to your dental visit. Some of the most common of all dental emergencies include a painful toothache or a lost filling. Loose or lost crowns are also common dental emergencies that are sometimes combined with a cracked tooth or a chipped tooth. Other common dental emergencies include soft tissue damage to the mouth or tongue or lips, something stuck between the teeth or even a bracket or wire that is broken on those braces. All of these common dental emergencies can be handled by your Madison emergency dentist. 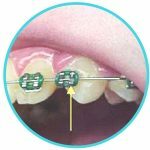 Broken or loose braces and wires are a dental emergency that is reserved for anyone wearing braces to straighten their teeth. If you have a broken wire, never cut the wire. Use the eraser end of a pencil to push the wire into a more comfortable position in your mouth. Place a cotton ball or a small piece of gauze over the sharp end of the wire. This will keep the wire from causing soft tissue damage to your mouth. A chipped or broken tooth is a dental emergency. If you are able to find the broken portion of the tooth, rinse it with plain water and bring it with you to visit your emergency dentist. Use a cold compress applied to the outside of the mouth to lessen swelling and pain. Apply a moistened piece of gauze to any area of the mouth that is bleeding. Use steady pressure for at least ten minutes to slow the bleeding. Visit your Madison emergency dentist as soon as possible for the tooth repair. 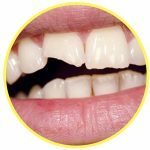 A knocked out tooth is a dental emergency that is sometimes accompanied by trauma to other parts of the body. In this case, it is important to visit a hospital emergency room first to ensure that you have no other more dramatic damage to your body. If you are able to find the tooth, rinse it with plain water and place it into a small container of milk or Save-a-Tooth. Hold the tooth only by the crown and avoid touching the roots. Use a cold compress to lessen pain and swelling outside of the mouth. An emergency tooth extraction is most often accomplished when a patient has a tooth that has decayed beyond the point where it might be repaired by a dentist. It is important to have the tooth extracted as soon as possible in order to ensure that you minimize complications and pain. Your dentist will usually begin the procedure by taking an x-ray of the tooth and performing a thorough examination. He or she chooses a general or local anesthetic that keeps you comfortable throughout the extraction. A special tool is used to pull the tooth from the gum, and the gum is stitched closed with sutures that dissolve over time. Healing should occur within a couple weeks after the procedure. It is important to follow your Madison emergency dentist’s instructions carefully following the extraction. Avoid eating hard foods or drinking from a straw for the first few days, and avoid drinking alcohol and smoking until the gum is fully healed. The tooth is sometimes replaced by a dental implant or a dental bridge following the healing period. 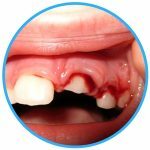 It is always appropriate to visit a hospital emergency room if you have tooth trauma that is caused by an accident like a fall or a sports injury. The hospital emergency physician is able to ensure that you do not have a more dangerous injury than the tooth trauma, like a concussion or a broken bone. Keep in mind that most hospital emergency rooms are not designed or set up to treat dental emergencies like broken or chipped teeth. If you are facing a common dental emergency that does not stem from fall or accident, a Madison emergency dentist is your best choice for treatment. Your emergency dentist most likely charges less than a hospital emergency room and his or her office is designed to handle tooth trauma. This means that once you visit your emergency dentist, you can skip the hassle of spending time in the ER. Head to the local Madison hospital emergency rooms for treatment if your dental emergency stems from an accident like a fall or sports injury. When you choose a new dentist, use the American Dental Association’s website to ensure that your new dentist has current licensing and certification for the state of Wisconsin. You can also use the Wisconsin Dental Association’s website to get great tips regarding dental care and choosing a local dentist.